I don’t know if you remember, but I used to feature Wantable boxes pretty often on this blog in the past. Since the day the company launched with their themed makeup bundles back in 2012 and until they expanded into accessories, intimates, and style, I’ve been buying them on and off when I saw a good offer. 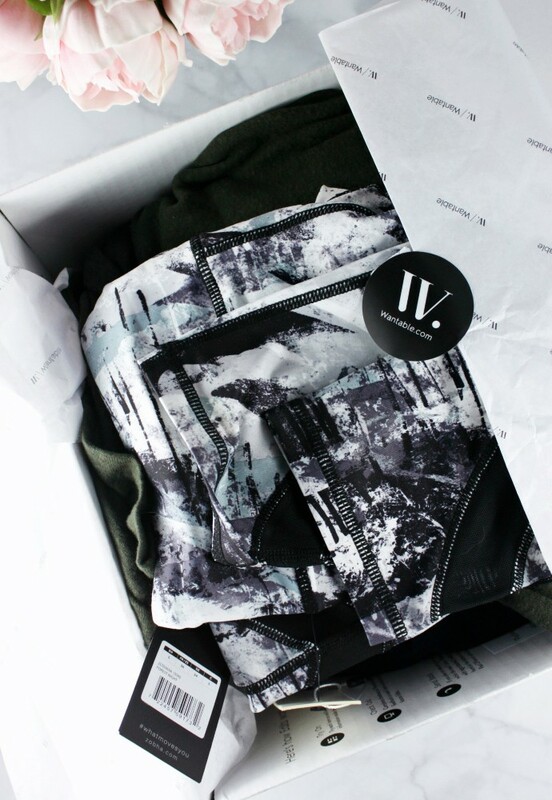 A few weeks ago I received an email with the promo code to waive a styling fee for their latest Wantable Fitness Edit box, I figured I’ll take them up on the offer! Considering that my first Wantable Style Edit was kind of a flop [I am partially responsible for that], I didn’t want to pay the non-refundable styling fee if I wasn’t sure I’d like the products. My worries were all for nothing though, as I did end up keeping something this time. This time I took the quiz very seriously. I answered every question, totally analyzing my shopping behavior and color preferences. Just because I like the idea of a certain item, would I actually wear it/buy it if I saw it at the store? I mean, I love shorts and skorts on others, but I know my body and I simply don’t look good in those. Let’s just say, feeling self-conscious in gym clothes is very unmotivating, so instead of playing it safe and boring or wild and adventurous, I decided to go based on my current mood and things I tend to gravitate towards right now 🙂 My Wantable Fitness Edit was a blazing amazing success! Wantable Fitness Edit is a personal shopper service – for a $20 styling fee a specially designated stylist will put together a package full of fitness items, all according to your style profile and price range preference. This fee will be applied as credit toward anything you keep from your shipment, and if you choose to keep it all, you will get an extra 20% discount. Keep what you like, and send back everything you don’t want within 5 business days in a convenient prepaid envelope. You can choose either to get a one-time fix, or to subscribe on a monthly basis. Click here to check it out. 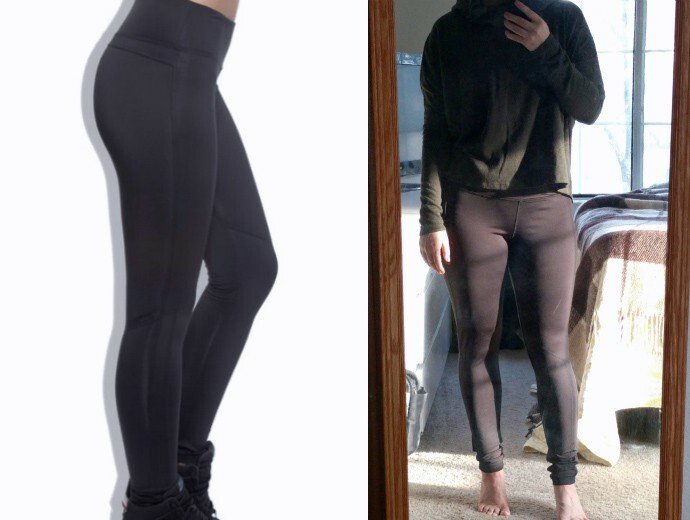 To be fair, I did specify that I wanted a couple athleisure pieces, so these leggings fit right in with my demands. They were incredibly comfortable and warm, and the thin layer of fleece on the inside made me feel like I’m wearing jammies. Unfortunately, they were about 5 inches too long, and slightly too large. You can’t really tell in the selfie because of the angle, but they don’t hug me very well, and crease in odd places when I walk. Had to return them because of the sizing issue. 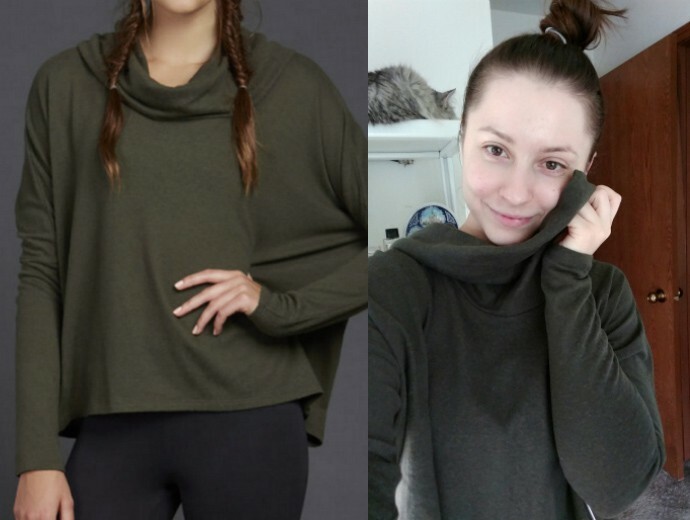 I liked the color and the material of this dolman top, it was cozy and warm, yet very light and airy. Unfortunately, the fit was just all kinds of wrong for me. The sleeves were 10 miles long, the cowl added volume where I don’t want it, and my hourglass figure got hidden underneath the wide waist. A lovely item, just clearly not meant for my body shape. To be honest, I thought this tank was cheaply made and not worth $49 to me personally. I might have kept it if it was $10 to wear at home and to work out in, but I doubt I would sport such sheer material “out to dinner” as Wantable suggests. I loved these capris, you guys! 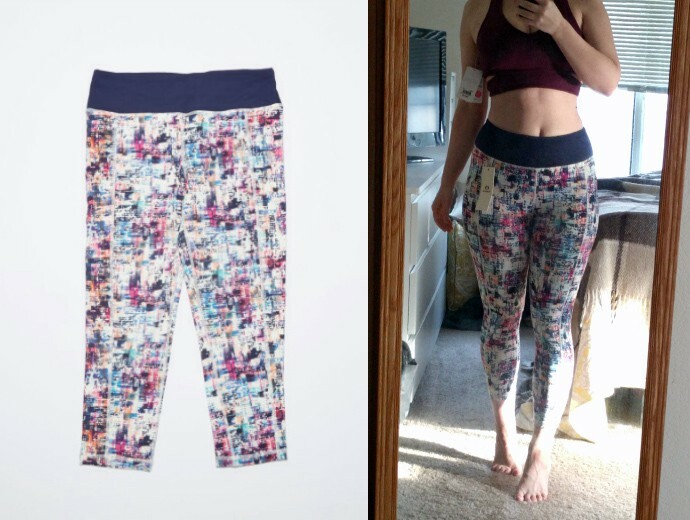 They are not only comfortable and uber stretchy, but the waistband is wide enough and snuggly enough to prevent the leggings from riding down when you bend over or do any crazy stunts and yoga poses. The only reason I didn’t keep them is because I found a pair that I loved even more. 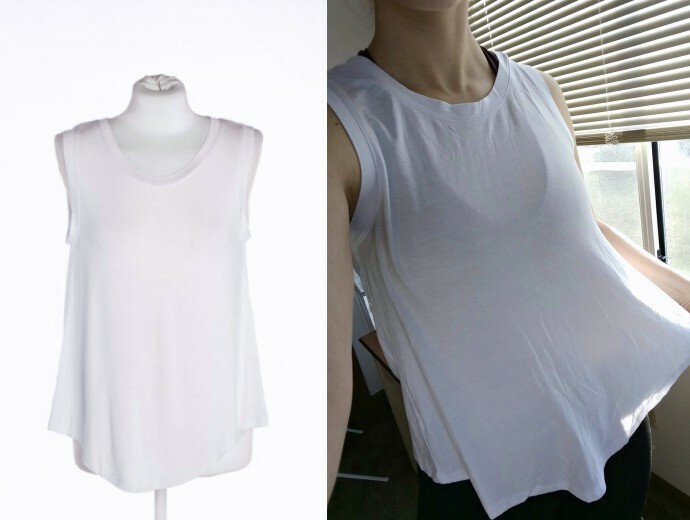 This airy racerback tank would be perfect for runners. 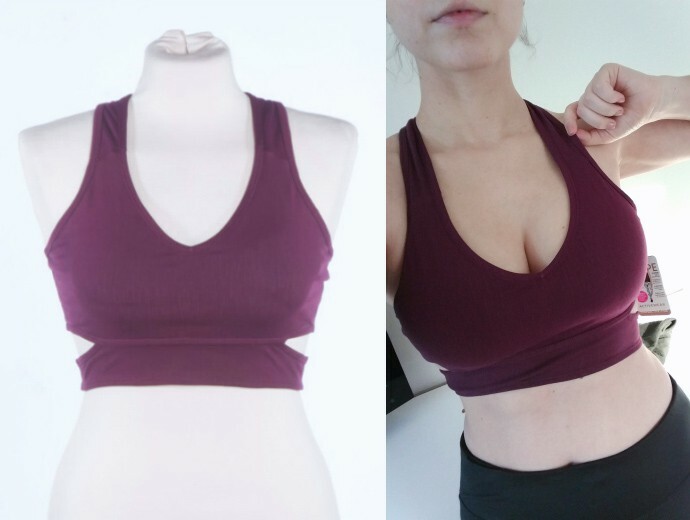 It’s lightweight and breezy, and seems like it would do a good job keeping your body temperature in check when you work out. I thought the tank was just a tad too basic, and besides, I already have 3 other tops just like it that I got at TJ Maxx for about $10 each. P.S. : Forgot to take a closeup selfie, but I’m wearing it in the photo below. 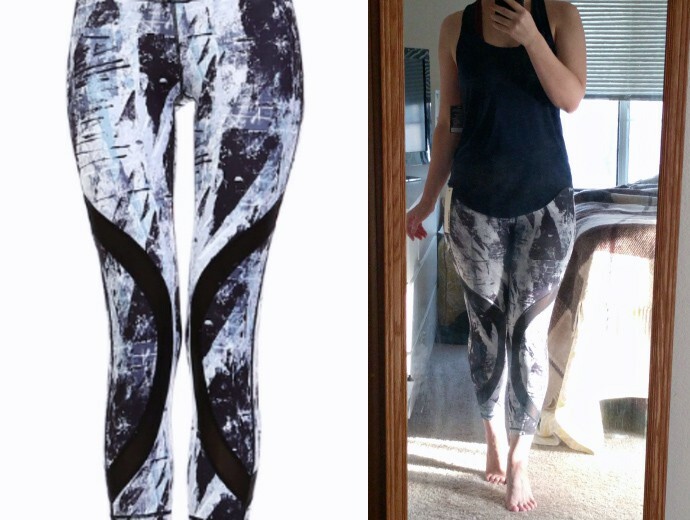 These leggings are made by the same brand as the colorful ones above, and they are ultra-comfortable as well. The band is wide and stretchy, and there is even a little pocket on the side to keep your locker keys in. What drew me in is the mesh openings on the sides, those look so trendy and I would even wear them as part of my athleisure look when I run errands. I love everything about these pants! Keeping them was a no-brainer. This was my first Wantable Fitness Edit, and I was thrilled with the way it turned out! I received so many different things to try, and I think my stylist nailed it with the selection. Even things that didn’t quite work out, I can totally see why she chose them for me. Overall, I am more than satisfied with my purchase and will consider getting another Fitness Edit in the future. Perhaps, a little summer fitness update when the current gear wears out? I’ll keep you posted! 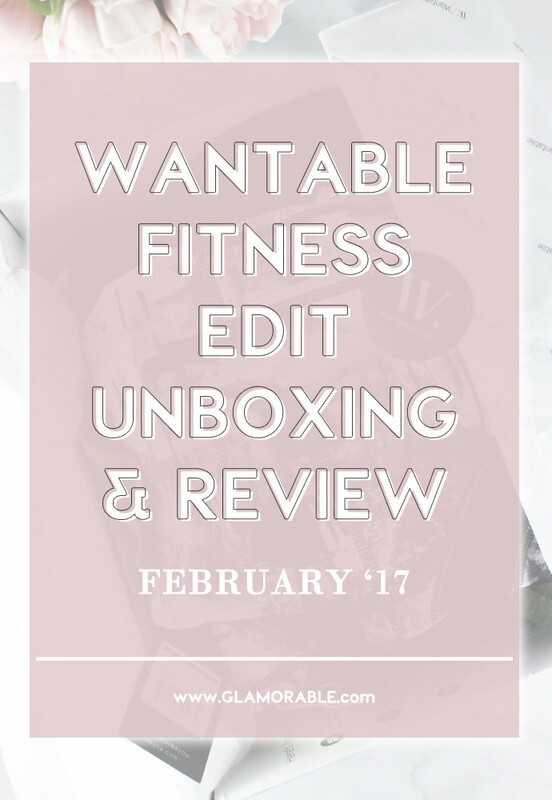 Have you tried Wantable Fitness Edit, or any of their boxes? Do you like the idea of another person shopping for you? Let me know in the comments below! Disclosure: This post features products purchased by Glamorable and may contain affiliate or referral links. For more details about my product review policy, copyright, and information about affiliate links, please refer to Disclosures & Content Use page.